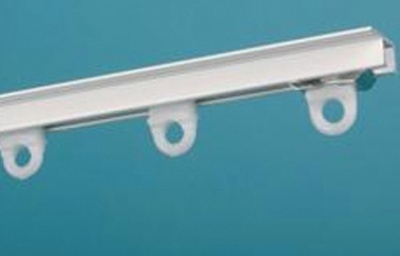 Our rails come complete with Gliders, End stops & Zinc plated hooks. Fixing screws may be purchased here or added to your basket when ordering below. Please select your required length from the drop down box below. Our Aluminum mini curtain track is ideal for use in all camper vans, motor homes, trucks & caravans. This Aluminum track is easy to install and will survive the test of time unlike the cheaper plastic versions on the market that warp in the extreme heat generated inside vehicles in the summertime.